Racial categories matter in medicine, and we are getting them wrong. Consider the example of birth weights. A 1985 Health and Human Services report noted that more black than white babies suffered from low birth weights and related dangerous consequences, including infant mortality. Since then, medical researchers have been monitoring birth weights based on racial categories in attempts to understand and address these disparities. But under which racial category do we record the birth weight of a biracial baby? For example, how would we categorize President Barack Obama, the son of a black man from Kenya and a white woman from Kansas? A biracial child does not fit easily into the centuries-old and still-dominant U.S. racial narrative in which each person is supposed to fit a single race category. As researchers and others who work to promote health, we need to be aware of how the current racial narrative influences biomedical research methods—and of how this narrative has come to the limits of its ability to identify and track health disparities in a U.S. population that is increasingly racially ambiguous. For over 220 years, the Census bureau has instructed its survey staff on how to determine a biracial individual’s race, and these directions have affected how we record and analyze many types of health data. The 1960 census instructed staff to assume that a respondent’s race applied to all other family members. Thus, if Obama’s mother had been the respondent, his data would have been recorded as white, but if his father had answered the door, his data would have been categorized as black. The 1970 census changed the methodology, assigning a biracial child the race of the father. In 1980, the census changed its methods again and assigned the mother’s race to the child. So, in 1970 Obama’s data would have been recorded as black, but in 1980 it would have been counted in the white category. Since 2000, census respondents can choose to be of “Two or More Races” and then specify those races. Unfortunately, when epidemiologists, demographers, and others analyze these data, they almost always lump respondents into a single group with the “Two or More Races” label. Decades ago, when less than 1% of births were to racially mixed parents, one could have argued that a small amount of racial classification error would not greatly affect overall birth weight profiles. Today, that’s no longer the case. For example, in California between 2011 and 2015, more than half of babies were racially ambiguous (i.e., born to parents of different racial backgrounds). What groupings should we use instead of binary racial categories to identify disparities in birth weight and other birth outcomes? The answer to that question will be greatly enhanced by input from racially and ethnically diverse researchers and others who can bring to the table their experiences with alternative racial narratives. That might include people who reported being “American Indian or Alaska Native” in combination with one or more races in the 2010 census, or it might include some immigrants from Vietnam and the Philippines who identify as racially Chinese, reflecting centuries-old migration patterns. And it might include some of the millions of Latinos raised in a 500-year-old racial narrative that is more fuzzy-edged and multivalent. In this alternative narrative, the norm is to be of many racial origins all at once and the boundaries between different racial origins are constructed by the individual depending upon the social situation, personal intentions, and other factors. We need to encourage the leadership voices of such diverse individuals, so that their experiences with different racial narratives can shape new systems for recording birth weights and other data for racially ambiguous babies. If we better understood racial narratives and applied more appropriate racial categories, we might better recognize trends in disease or management of disease in certain populations. We need data that create an accurate picture of health disparities in the 21st century and help promote health and well-being for all people in this country. 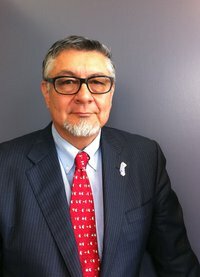 David E. Hayes-Bautista, PhD, is a distinguished professor of medicine and director of the Center for the Study of Latino Health and Culture at the David Geffen School of Medicine at UCLA. He is a keynote speaker at the 2018 AAMC Health Workforce Research Conference.